It is today, 4th November, that we remember the amazing talent of Rob Heaton. Best known as drummer for New Model Army, Rob also played bass, guitar, sang and wrote several NMA songs. Sadly, Robert is no longer with us to select any songs, and while he may not have chosen this track himself, it’s an apt choice to dedicate to him. “green and Grey was Robert’s masterpiece in which he wrote all the instrumentation and sets the track going by shouting down the hole in the acoustic guitar. Rob – you are sadly missed, and more so eight years after your untimely death. 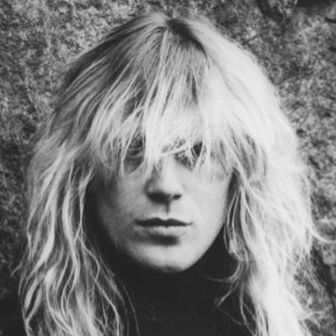 NMA fans – slip into those clogs, and stick on Vengeance, No Rest for the Wicked or Ghost of Cain, and raise a glass to Mr Rob Heaton (1961-2004). Here’s the big fella himself from the Marquee, 1985. PreviousGary Numan – interactive book, remix CD and live dates!